Pregnancy can be an exciting time as you wait to bring your new baby into the world. However, the physical and emotional changes you experience during this time can be immense. 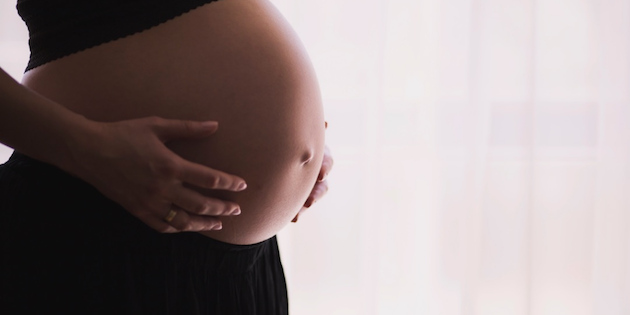 Whether you’re having your first baby or adding to your growing family, maternity reflexology aims to provide a soothing, relaxing space to support you and your baby during this special time. Putting your feet up during a reflexology session takes the pressure off your changing body, helping you to physically relax and de-stress. As reflexology improves the functioning of the circulatory and lymphatic systems a treatment may also help with the swollen feet, legs and ankles which are especially common during the last couple of months of pregnancy. Many women also experience aches and pains, nausea, fatigue, restless legs, interrupted sleep and constipation. As you may not want (or be able) to take medication during your pregnancy, natural solutions such as reflexology may help alleviate these symptoms. My aim as your reflexologist is to provide treatments that give you a lovely opportunity to have some precious time to yourself, to emotionally and mentally prepare for your baby’s arrival, in a comforting and nurturing environment. A reflexology treatment also feels good and encourages the release of endorphins (our body's natural painkillers and feel good hormones) which can help support you if you have worries about any aspect of your pregnancy, labour or birth. I work with each of my pregnant clients to tailor every treatment to their unique needs as they vary during the course of their pregnancy. Whilst in one session I might focus on relaxing your chest, diaphragm and lungs as the baby grows and makes breathing more challenging, in another session I might focus on working your skeletal system if you're experiencing aches and pains. I'm also able to provide some simple reflexology techniques for your birth partner which they can use on you to promote relaxation and provide pain relief during labour. As in all my treatments, I only use high quality natural and organic foot balms in my reflexology treatments which are safe to use in pregnancy. I also only use organic cotton foot wipes, towels and pillowcases which are gentle next to yours – and baby's – skin. It takes a while to recover from pregnancy and labour, and not just physically. When you're also a little sleep deprived, getting to grips with breast/bottlefeeding, and are adjusting to your new life it can be quite a tiring and emotional time. Reflexology can help you rebalance your body and hormones after a period of huge change and give you some much needed rest and relaxation. It’s also extremely soothing and research has shown that it improves the quality of sleep in postnatal women. A reflexology treatment is a great way to help you, as a mum of a new baby, get some much-needed time to yourself and that all important headspace. If you're not able to leave your baby with someone else for a hour don't worry, little ones are very welcome in my practice. We can find a cosy spot in my treatment room for baby or they can be on the couch with you. Reflexology – it's great for partners too! And finally, let’s not forget your partner. Their life also changes after a baby's arrival and they may feel anxious about supporting you and their changing role as a parent. They can benefit from some rebalancing and calming reflexology almost as much as you! Although I've treated lots of pregnant ladies, earlier this month I formalised my experience and trained in Maternity Reflexology with the AOR maternity guru, Sally Earlam. I've now got three brand new maternity packages available for expectant parents: Blossom, Bloom and Nourish. You can buy them for yourself or they're perfect as a gift. Check out my website for more information! * Please note that although there is no scientific evidence that reflexology affects pregnancy in any way, nor that it causes miscarriage, I only treat women who have moved past their first trimester (14 weeks pregnant or more) and are classed as having a healthy, low-risk pregnancy. I will provide a full, confidential consultation before commencing any treatment to ensure that it is appropriate to go ahead. Reflexology does not replace any advice provided by your GP or midwife and consent from them may be required. I would also suggest that you check with your GP and/or midwife before having reflexology just to ensure that they are happy for you to go ahead with a treatment. If you have any concerns during your pregnancy or after you've had your baby, please contact your doctor, midwife or health visitor.